Most drivers will see the check engine light come on in their car and continue driving for weeks at a time. The check engine light comes on for a reason, some of which are not serious, such as a sensor failing or loose gas cap. However, the check engine light can be the first sign of a serious issue with a vehicle. 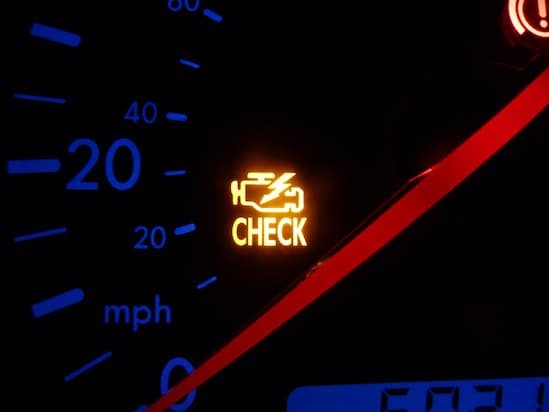 A check engine light can be a sign of a failing engine. This is why it is so important for you to take your vehicle straight into our service team when the check engine light comes on. This can be the difference between your car staying on the road or causing a serious issue. It is easy to see why the check engine light coming on in your vehicle is so important. If your check engine light comes on in your vehicle, bring your car or truck into our dealership and let one of our trusted technicians inspect your car today. We can also help you solve other common problems, like unexplained water leaks and strange noises.